If you were worried about your mobile phone voicemail being hacked by errant reporters, then worry no more. For a start, you're probably not famous enough, and secondly, you ought to be more worried about criminals breaking into your PBX. If you were worried about your mobile phone voicemail being hacked by errant reporters, then worry no more. For a start, you're probably not famous enough, and secondly, you ought to be more worried about criminals breaking into your PBX. PBX hacking, or phreaking, is a growing concern for many in the industry and is still not being widely discussed. Hacked PBX systems can be used to run up phone bills running into the thousands, and according to Paul Brewer, technology solutions director at Avaya-partner Datapoint, is already netting cons over $1bn a year. 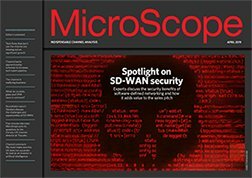 Ian Kilpatrick of convergence distie Wick Hill, who recently signed on to distribute Panasonic phone switching systems equipped with Callista's Control Phreak security package, told MicroScope that many comms resellers still didn't understand the risks of failing to protect voice activity. "It's in their business interest to talk about it because neglecting it creates questions that reflect badly on the [voice] industry as a whole," he said. "End-users will try to sue their suppliers if they abrogate that responsibility," he warns. Meanwhile, Sunbury-based Retell, a manufacturer of phone recording equipment, has just launched a new tool called Sense Voice Firewall, which monitors dialled calls and disconnects calls to unauthorised numbers that are pre-set. According to Retell, the security settings of many 'phreaked' PBX systems have - surprise surprise - not been changed since the unit left the factory. The parallels with the hacked mobiles of celebs such as Sienna Miller, Steve Coogan and Max Clifford - who could have all spared themselves a lot of bother had they bothered to change their voicemail security settings - are clear to see. So if you don't fancy ending up on page three ... or being taken for a couple of grand, change your bloody Pa55w0rd.